Sometimes, taking the road less travelled can sometimes make all the difference. This week, aim to ditch the car, pump up the tires of your bike, car share with a friend, take an alternative route, try public transport, or, dare I say, walk! 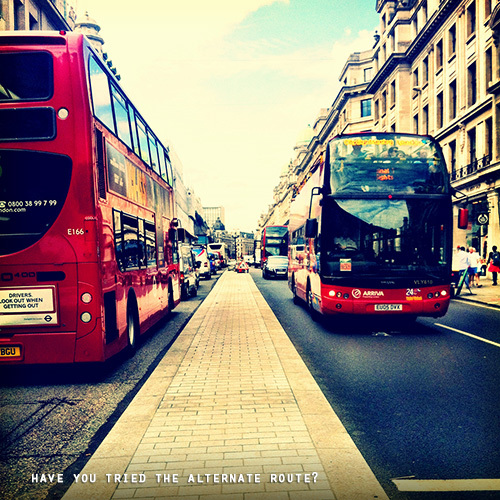 Opt for the alternative route taken and see if you can design better ways to get from A to B. My commute these days becomes an exploration. Detours are inevitable in life. I’ve definitely gone through one this year, one moment you’re moving along your normal path and bang! Some situation makes you change course. It is unnerving to travel down an unfamiliar road – experiencing anxiety about getting lost or being taken off course and become aggravated at the sudden alternate route suddenly throwing you off your destination. But, sometimes there is no other choice, but to take a detour.